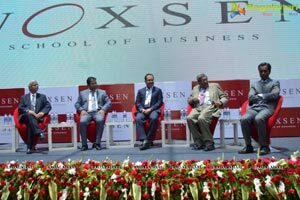 Woxsen School of Business Campus, one of the most innovative Business Schools in the World inaugurated here near Sadashivpet at Kamkole Village in Medak District, about 75kms away from the city on the Mumbai highway. 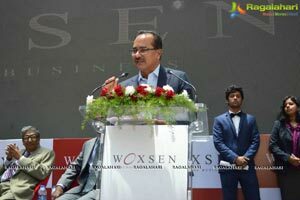 He was the Chief Guest at the inauguration of Woxsen School of Business, one of the most innovative Business Schools in the world. 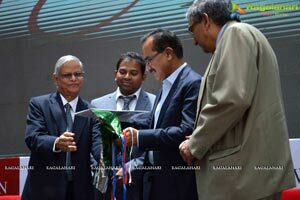 Addressing the 200 plus gathering of management students and faculty, G.V. Prasad said “I have three passions—1.Dr. Reddy Laboratories, where I work, 2. Nature and 3. Education. Education is the going to be the big differentiator in this competitive world. Speaking further he added that Technology is driving the every sphere of our life. I have an advice for you. You must use technology to its best in education. Excellence in teaching, faculty will make you world’s best. I am impressed in looking at the Architecture of the Woxsen School of Business. One must be passionate about it, otherwise, it wouldn’t have what it is. I must appreciate Veen Pula’s passion for investing in education, he said. G.V. 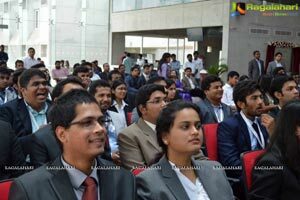 Prasad told students not to worry unduly about your career path, placements etc. But, what is more important is finding your life’s passion. That will take you places, he said. Think of it now. Don’t, wait. Make a dent. Don’t worry about career, salary, perks, he told young management students. 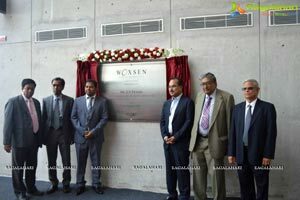 Welcoming the gathering Veen Pula, Founder and Chairman of Woxsen School of Business said, Woxsen was born out of a dream to build a world-class business school in India. 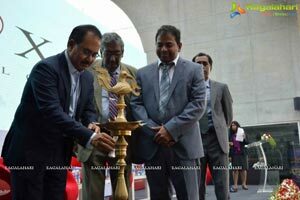 A school that will address the gap between the requirements of the corporates and the aspirations of the students. 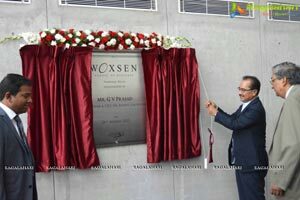 Entrepreneurship, a word often used in the business houses of this country, is a core feature of our programmes at Woxsen. We encourage our students to Dream BIG, to Think BIG and to DO BIG. We provide them with a platform to put their ideas to test and with able guidance and mentorship. 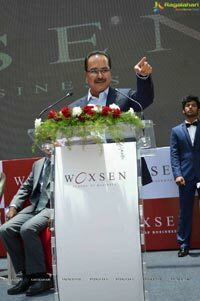 Woxsen is also promoting entrepreneurship for its students through the Woxsen Trade Tower. The Trade Tower is a multi-level process, where progress through each level represents passage through an increasingly rigorous startup incubation process. Finally, the ones that successfully pass through all the stages will have the opportunity to seek funding from members of Woxsen Fund, an investment corpus. The school’s emphasis on entrepreneurship has already shown results with one of its students, Venkat Satish having launched his own venture in organic baby food products. Satish secured an angel investment of Rs 1Crore. Another student, AdityaBonda, is the co-founder of ‘Book my Pandit’ and yet another student - Vinay the co-founder & Managing Partner of Vaishnavi Infra. Woxsen is also proud of its student Mr Varun Gupta, who secured an international placement as a revenue manager in Zomato, Dubai . 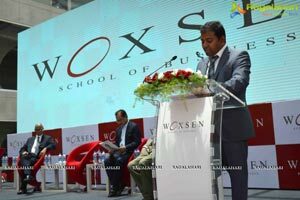 Giving future plans of Woxsen, Veen Pula said that it is with utmost certainty that we march towards securing the coveted Triple crown Accreditation namely AMBA,EQUIS and AACSB. It is important to note that, currently, there is no institution in India with a triple crown and we have our sights set on securing this at the earliest. We plan to gradually increase the portfolio of our offerings to create skilled, globally aware managers. 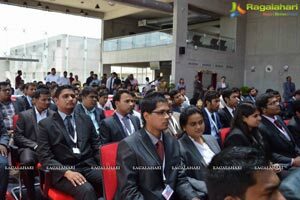 Our faculty for all the programs is drawn from the very top institutes in India and abroad. Thus far we have had faculty from HBS, Wharton, the Ross School, Georgia state, UCLA, the IIMs etc teach our PG and exec-ed programs he said. 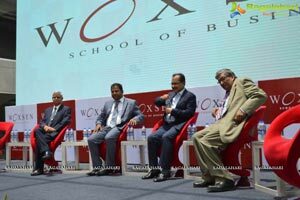 Woxsen launched today Post Graduation Program for Working Executives. 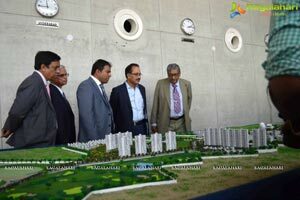 Five lakh square foot of built up area of total 3million sft envisaged is ready for use. The school is the brain child of a Telugu man, a UK based entrepreneur and educationist, Praveen Pula. 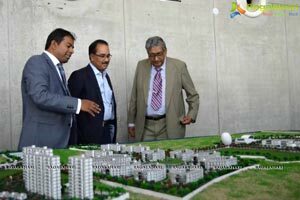 It is coming up with an investment of Rs 500 crore on 200 acres land. It has already invested Rs 200crore and the remaining Rs 300crores, drawn from the own funds of the promoter will be pumped in over the next five years. 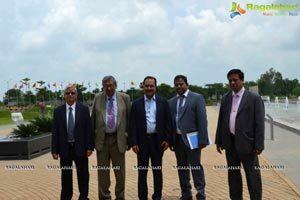 The School is a jewel in the crown of the newly formed Telangana State because it is truly global in its outlook, approach, infrastructure, globally relevant curriculum, faculty, collaborative researchers and partnerships. 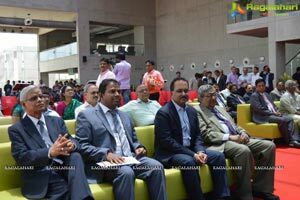 Dr Mendu Rammohan Rao Provost and Dr. Vishnuprasad Nagadevara, Dean also addressed the gathering. The School already entered into partnerships for PGPXP international immersion with Mannheim Business School, Germany's leading business school and Nanyang Technological University, Singapore. Its dream is to be one of the top global business schools. It aims to be featured in FT(Financial Times) 20. 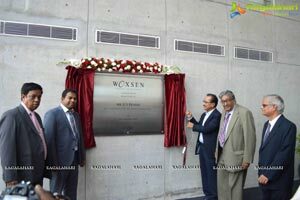 Woxsen has a 9-hole golf course, International standard cricket, lawn tennis, basket ball, and football grounds, badminton court and many other.